Toyota's success in Ireland is the result of a combination of excellent products and the best dealer network. Toyota Ireland dealer network is strategically located throughout the country offering the customer peace of mind in terms of sales and more importantly after sales service. 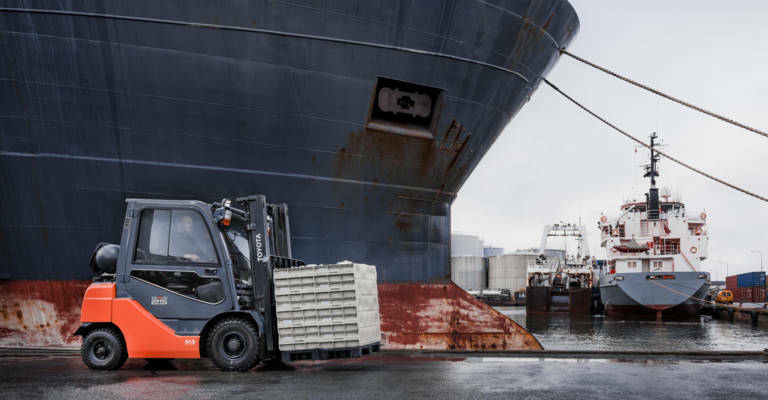 The Toyota dealer has the know how and experience of over 30 years to recommend the right forklift for every job and provide advice of leasing, hire and finance etc. Furthermore with over 50 trained service engineers within the group the Toyota Dealer offers first class customer service with rapid response callout. AMLAC was established in 1979 by the Managing Director Derek Joyce. In 1981 the company was appointed a Toyota dealer for the North Leinster area. We have a well-established list of customers including Pharmaceuticals, Logistics, Agriculture, Distribution, Government Agencies, Food, Plastics, IT and Fish Co-op. We are also the leading agent for Toyota BT Material Handling Equipment, ranging from Electric, Diesel, Gas and Warehouse equipment. We also have a wide range of second-hand vehicles available. AMLAC operate a substantial hire fleet for both new and second-hand vehicles to a wide range of customers at very competitive rates for both long and short term hire. We employ 15 Service Technicians on the road and in our workshops and can offer our customers a rapid response when they contact our service department. We also offer an after hours service to ensure we meet our customers demands. We carry a full range of genuine Toyota BT parts with a direct computerised link up to Toyota’s Parts Network. Forktruck Services Ltd., was established in 1981 and is a main Toyota Dealer for thirty Years, covering the South Leinster area – which includes South Dublin. In 2001 the Company moved to a state of the art premises just off the M50 where we have 10,000 square feet of Workshop, Stores, and Offices. Fork Truck Services has been the leading agent in all types of trucks including electric, gas, diesel also warehouse equipment, we also provide a full range of anciliary products such as Hydraulic Attachments, Work Platforms, Fork Extensions, Mobile Container Loading Ramps, Hand Pallet Trucks etc. You will find we also have a wide range of secondhand vehicles available. In today's challenging environment, businesses need quality service and reliable products. 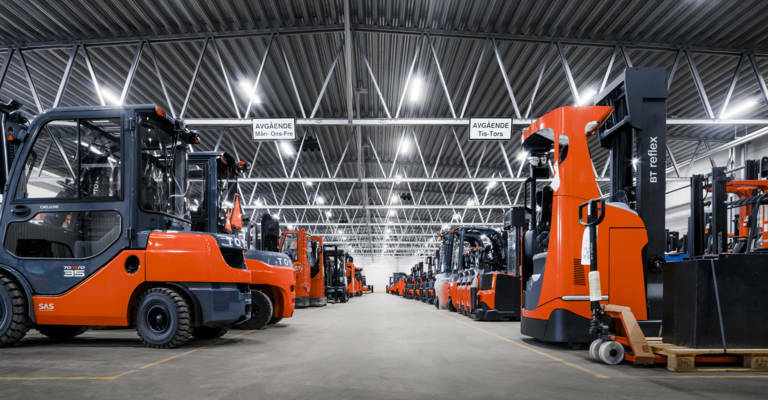 Whether you are a single truck user or utilise a fleet of trucks, Fork Truck Services Ltd have the knowledge and reputation to provide you peace of mind with your choice of material handling equipment. We are committed to providing customers with cost effective solutions and ensure that a customer's needs are dealt with personally and professionally Fork Truck Services operate a full fleet of Hire Trucks, these trucks are available for hire short term or long term. 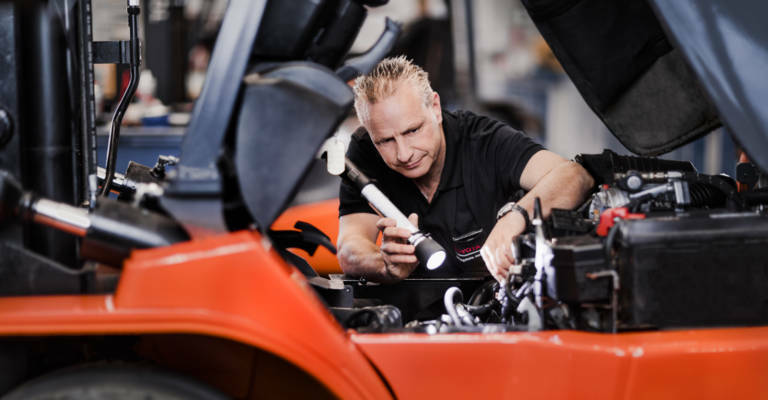 Our Service department include 15 fully trained Service Engineers, a same day service is operated for breakdown repairs. A back up Service Team located at Toyota Ireland’s premises at the Killeen Road is also available in emergencies. Fork Truck Services also provide a comprehensive stock of Spare parts in our state of the art parts department. The major Stocks (1 million - largest of any Irish Forklift Distributor) are carried at Toyota Ireland. Deliveries of dealers orders take place on a thrice daily basis through DSV Van couriers. Lift Truck Sales Limited was established in 1982 and is a leading provider of material handling equipment across Sothern Ireland and beyond. Along with the full range of Toyota Material Handling Equipment we provide a complete range of complementary items on a sale or hire basis. The success of our business is due to many factors but our after sales support is where we excel and in this regard we are second to none. Support is available directly from either Cork or Limerick. A range of Fork Lift Driver Training courses are available, either on customer's premises or in-house with our modern training facilities. Flameproof equipment for use in hazardous areas is available for most diesel and electric machines operating in Zone 1, Zone 2, Zone 21 and Zone 22 applications. We would regard ourselves as the most dedicated provider of EX rated equipment in Munster. Check out our website or phone 021 4836060 and ask for Peter Aherne for further information. Murphy Machinery is an established service provider for over 50 years and has been an authorized Toyota Industrial Equipment dealer since 1991. Murphy Industrial covers the Southeast, which includes the counties of Kilkenny, Wexford, Waterford and Tipperary. 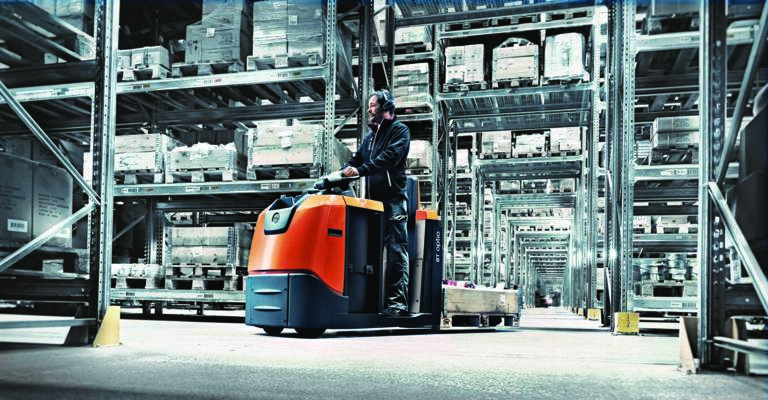 Since its appointment, Murphy Industrial, through its central locations in Kilkenny and Littleton, has built up an unrivalled reputation for the Sales, Hire and Service of Toyota Forklift Trucks and Warehouse Equipment. The quality of the Toyota product, coupled with our same day mobile service fleet, our extensive spare parts stock and back-up hire fleet, have enabled us to provide the peace of mind required by individuals and companies alike. Murphy Industrial is your one stop shop for all your materials handling requirements. Callaghan forklifts was established by Sean Callaghan in 1991 and was appointed an authorised Toyota Material Handling Dealer in 2009. Based in Sligo at Drumfin, Callaghan forklifts have recently opened a new showroom, workshop and parts department. Callaghan forklifts provide the full range of Toyota Material Handling products, from hand pallet trucks to large 8 ton counterbalance engine trucks, also hydraulic attachments fork extensions etc. Callaghan forklifts also stock used trucks, which are available for short or long term hire. Our service technicians are fully trained by Toyota and operate a same day service for breakdown repairs with fully equipped service vans. Callaghan forklifts operate a comprehensively stocked parts department with overnight deliveries from Toyota Ireland. Reddilift is your complete forklift services company providing the very best from Toyota Material Handling in the west. Since 2004,We have provided the highest level of service to our clients, who now include a wide range of local enterprises, both large and small, as well as most of the multi-nationals operating in the area. Whatever your field you can be assured that we can help. Our head office operates from a purpose-built workshop and showroom located in Barnaderg, which is five miles outside Tuam, on the main Dublin Road. With over 20 years experience working in the forklift business both in Ireland and abroad, our emphasis is on customer care and satisfaction. The success of our business is due to many factors but our after sales service is where we excel and in this regard we are second to none. At Reddilift, we deal only in the industry-leading brand Toyota, because our customers deserve the highest quality, value and reliability. Click on the map to find more information about your local Sales and Service centre.